From the time that he was a very young man, William Branham had a "strong desire" in his heart to go West. At the age of about fourteen years old, while recovering from surgery for gunshot wounds, he thought he was standing on the western prairies, looking at a Cross in the sky. And the glory of the Cross of shining down upon him. The "Call of the West" ever remained with him. When he was about sixteen years old he borrowed a piece of paper and wrote a poem which was "strangely prophetic" in it's contents. But it would be forty years before the prophecy would come to pass and he would know the reason for this Westward call. As a young, Kentucky, hillbilly lad of sixteen, he had never been in Arizona. Little did William Branham realize then that these Catalina mountains would play a significant part in the Commission and Ministry which would be fulfilled in his life. Many years would pass before he would realize this. About three years after he had written 'the above poem' Brother Branham, now nineteen years old could not resist the 'urge' to "go West". For him the year 1927 was the year of opportunity in his life. He was offered a chance to travel to Arizona with a Jeffersonville family by the name of Francisco. Mr. Francisco needed someone to assist him with the driving, and knowing of Billy's ambitions, for a life on the frontier, he offered him the job. Needless to say, the offer was quickly accepted. 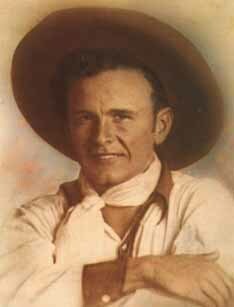 Packing his few belongings in a small canvas bag, young William Branham was on his way West. In September of 1927, he told his mother that he was going on a camping trip to Tunnel Mill, about fourteen miles north of Jeffersonville. He told her this, knowing that if she were aware of his true intentions to go West, she would plead with him not to go. In reality, down in his heart, he knew that he was running away from God. He had no plans to ever return to Indiana. But, he was later to find out that his Lord and Master had other plans for him. Presently, these ideas were the farthest from his mind. It took nearly two weeks to complete the two thousand mile trip (average speed - twenty-five miles per hour), but what an exciting time it was for the young man who had never been out of the Ohio Valley! While the others fretted about the lack of conveniences along the way, Billy gloried in the wide-open vistas of the plains. At the sight of blowing tumbleweeds and dusty-colored sage growing along the road side he would joyously serenade the tired travelers with songs about the land West of the great Divide. Occasionally, much to the despair of the others, he would even try to yodel. They arrived in Phoenix in the month of December, and soon he found a job on a ranch located near the outskirts of the city. The details of the next few months remained vividly in Billy's memory for the rest of his life. Throughout the years of his ministry, in his sermons he would frequently recall episodes from those days, speaking of prospectors, cowboys, and the difficulties of life on the desert, in such a way that attested to his first-hand experience. But, for young Billy Branham his time in Arizona would be cut short. "I remember the first herd of cattle I helped drive out of the mountains. I thought I was a real cowhand. When evening came I rode off that horse, got my blanket and used my saddle as a pillow. And there was an old guy there we called Slim. And another guy from Texas with a guitar, and they were playing songs. Old Slim was playing a comb with a piece of paper behind it. The herd was all settled down for the night. And after a while they begin to play "Down At The Cross Where My Saviour Died; It was down there for cleansing from sin I cried." My heart begin to jump. I took the blanket and pulled it over my head to keep from hearing it because I was a sinner. Brother, God is so great He will find you, I don't care where you are. Don't try to hide from Him. You're fighting a losing battle." "When I realized the news of my brother's death, for a moment I could not move. It was the first death in our family. I remember wondering about whether or not he was ready to die. As I turned to look across the yellow prairie, tears ran down my cheeks. I remembered how we struggled together when we were lads and how hard it was for us - not enough food to eat and not enough clothes to wear. BUT , Oh how I remember that day when mother gave us Pop corn in our school lunch. That was a real treat. So to be sure that I got my share of it, I went out before noon and took a good handful before my brother got his share. How I wished I could have told him that I was the one who took it. Thinking of these things, there on that prairie, God began to deal with me again - but as usual I kept pushing it to the back of my mind. After the funeral, I wanted to go back to the West but mother begged me not to go. I agreed to stay if I could find work. I did get work with the Public Service Company of Indiana. " The Lord had caught up with the young man and turned him back East. It would be another thirty-three years before God would lead his servant to move back to Arizona - But For William Branham this first trip out West was a Highlight of his life. The "Only Believe Magazine" (Issue 7, Vol 3, No. 1). Published By: Believers International. "A Man Sent From God" Published By: The William Branham Evangelistic Association.